At Fox Acura, we believe that buying a new vehicle should be fun, especially if you’re investing in a new luxury car or crossover with the prestige of an Acura. We work hard to be more than just a place where drivers can buy a new car, priding ourselves on our full-service dealership with convenient on-site auto financing and maintenance. 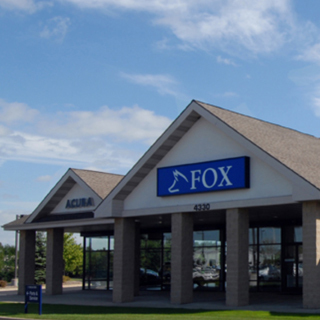 You can find our sales team here six days a week in Grand Rapids, where we help area drivers discover that they can experience true luxury at easily affordable prices. As a Michigan Acura dealer, we stock the full lineup of new Acura models—including the ILX, TLX, RLX, RDX, and MDX—and we are confident that there is an Acura waiting for you to drive it home. Visit us today at 4330 29th Street SE in Grand Rapids.